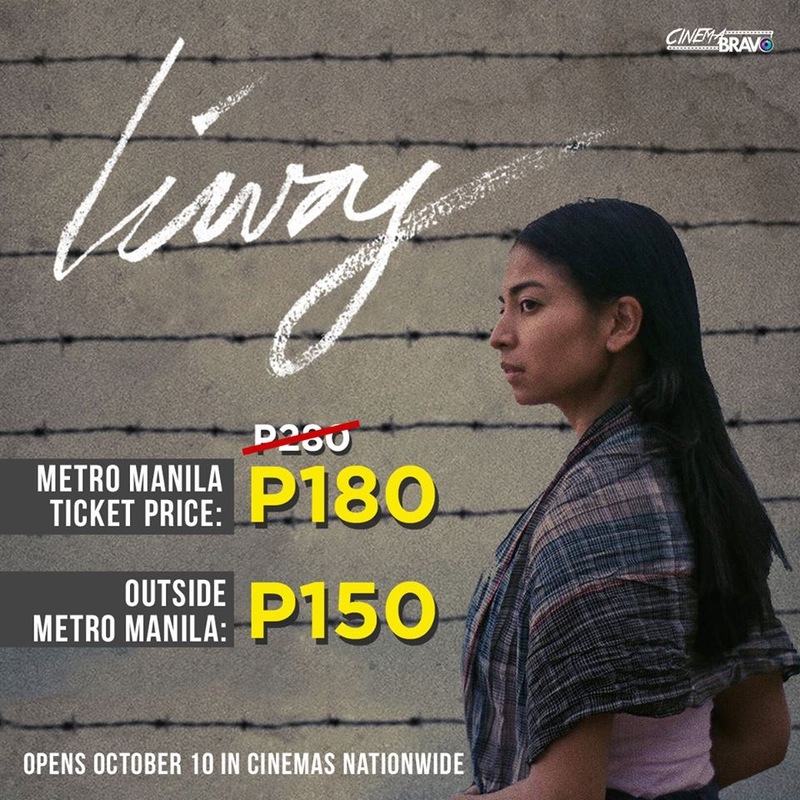 After a very successful premiere at the 2018 Cinemalaya Philippine Independent Film Festival the film "Liway" begins its commercial run in cinemas across the country on October 10 Quantum Films is the distributor of this stirring motion picture. The story, which is set during Martial Law, is about a young mother who uses storytelling to protect her young son from the painful realities of prison life. The movie is based on director Kip Oebanda's experiences as he was growing up inside the prison camp where his parents were detained. It features rousing performances by Glaiza de Castro as Inday/Kumander Liway, Dominic Roco, Soliman Cruz, Joel Saracho, Nico Antonio Sue Prado, Paolo O'hara, Ebong Joson, Gerry Cornejo, Diana Alferez, Julie Bautista, Pau Benitez, Liway Gabo, She Maala, Renante Bustamante, with Vance Larena, Upeng Galang Fernandez, and Khalil Ramos in a very special role. Child actor Kenken Nuyad plays Inday's son, Dakip. The screenplay is written by Kip Oebanda and Zig Dulay. The movie is produced by VY/AC Productions and Exquisite Aspect Ventures. My childhood memories were full of laughter and love coupled with the daily routines of prison life," Oebanda writes in his director's notes. "Within the barb wired walls and the cramped Il room, I learned to read, write and speak." Although the young Kip was thrown into a place that was certainly unfit for a child, he learned to cope. Oebanda says, "My parents, to the best of their ability, tried to keep me healthy and happy. By all accounts and in the small flashes of my memory, it was a happy childhood." Liway" presents through the poignant relationship of mother and child, the struggles of those who fought for freedom during Martial Law. "Beyond a deeply personal story of people who refuse to remain as victims, it brings the audience to the emotional journey and sacrifices that freedom requires," Oebanda elaborates. youth to examine the Martial Law period. She says, "(Sana) magiging kahalo na ng mga gagawin natin sa hinaharap. Magigiging inspirasyon.. ugat ng diskusyon." Producer Alemberg affirms, "To preserve the lessons of the past, we must tap both the hearts and minds particularly of the younger generations who may not have lived through the era". The reaction so far has been nothing short of "electrifying." Thanks to good reviews and strong word-of-mouth, "Liway" is turning out to be the Martial Law movie of this generation. The story truly resonates with the people. 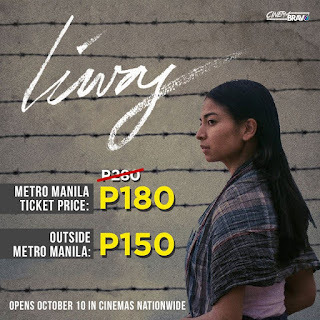 Throughout the Cinemalaya 2018 festival, "Liway" played to SRO audiences wherever it was shown, eventually becoming the Audience Choice winner and the highest-grossing Cinemalaya film in the festival's 14-year history. At almost every those who watched were stirred to tears, standing ovations, and even patriotic screening, those who watched were stirred to tears, standing ovations, and even patriotic chanting. So don't be left out. 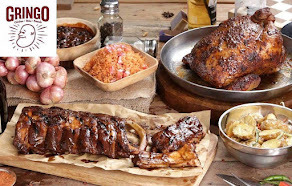 Find out why everyone is raving about "Liway". Catch it when it opens in theaters nationwide on October 10. Interested parties may organize block screenings; for more information, please visit the Liway Facebook page.